"We're not just proud today, we're honored. 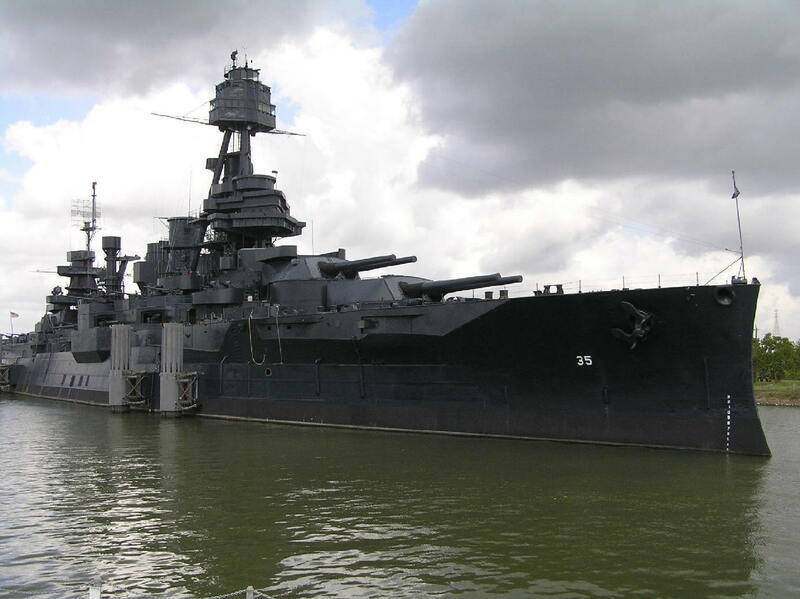 To have been chosen by the federal government, by the Navy, to welcome the USS Texas and to have her come in to our port and be commissioned in Galveston." 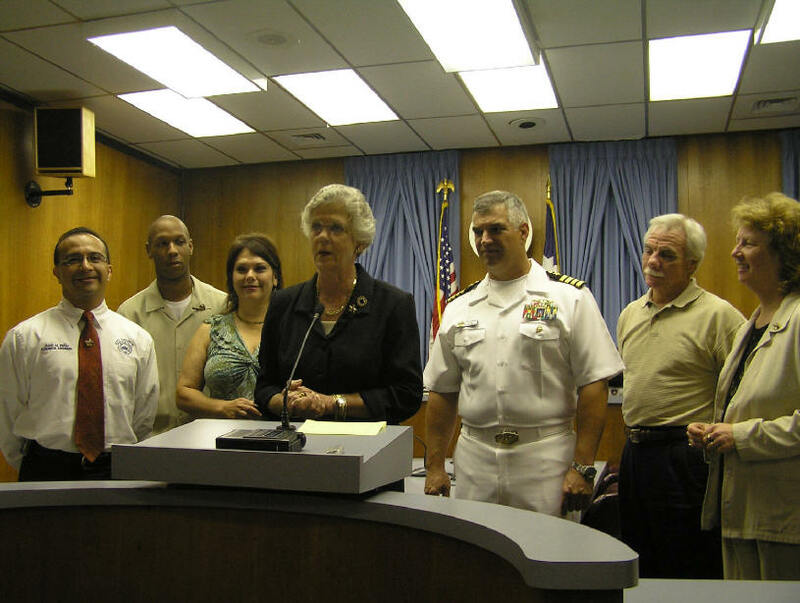 With that statement, Galveston Mayor Lyda Ann Thomas ushered in a new era in Texas naval history. Pride was the underlying tone of the day, which seems appropriate in the Lone Star State. Though not a Texan, Capt. Litherland said, "We're so proud we have this bond with Texas and particularly the city of Galveston." 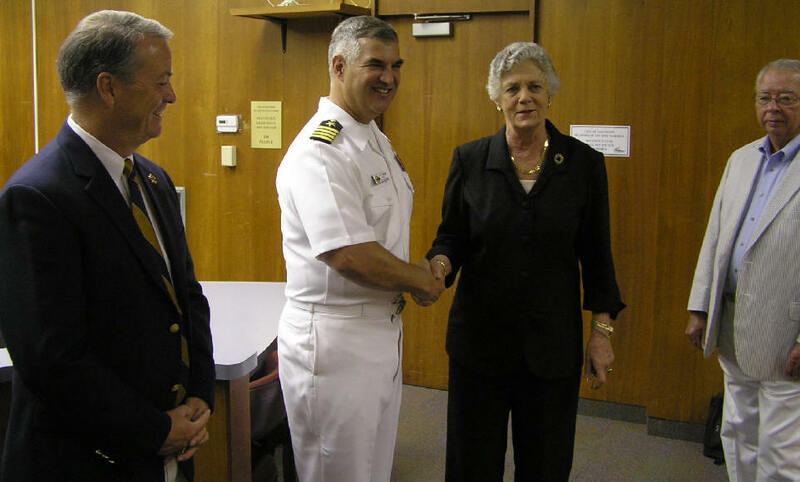 Mayor Thomas and the Galveston City Council welcomed Capt. 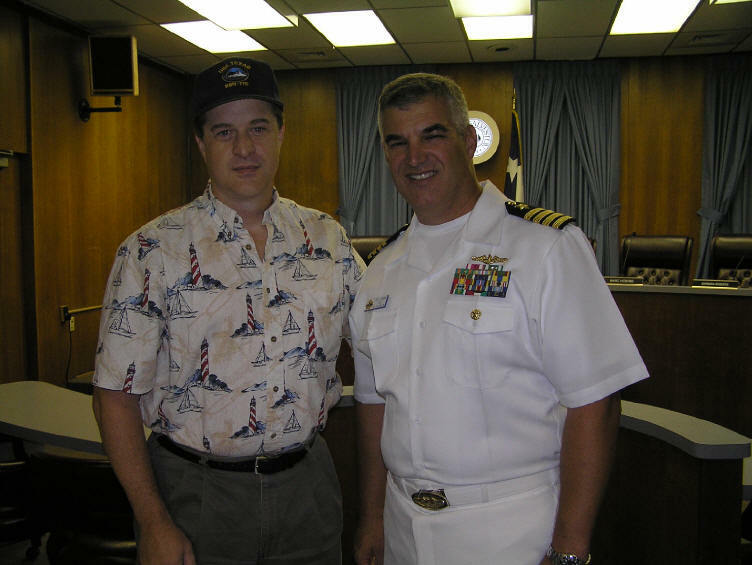 John Litherland, USN, commanding officer of the PCU Texas submarine* to the city. She extended the welcome to the 10,000 visitors and guests expected to attend the commissioning and week-long activities Sept 4-10. "As of today, 1300 room nights have been reserved". Capt. Litherland said, "I can't tell you how excited we are to be bringing Texas to Galveston to be commissioned." He noted there have been four ships named Texas, including a turn-of-the-century battleship that served in Pres. Teddy Roosevelt's Great White Fleet** and Houston's own Battleship Texas BB-35 moored next to the San Jacinto Battlegrounds. "She served gallantly in WWI and WWII and leaves us with a great legacy today, including some of her crewmembers who will be at our commissioning ceremony on Sept. 9." "And now as we enter the 21st century the new USS Texas, the submarine Texas, is primed to enter the fleet." On the morning of September 4, 2006, Texas will surface and meet the 129 year-old sailing ship Elissa at the sea buoy. As Texas is escorted to the pier she will pass Seawolf Park where the WWII warhorse USS Cavalla SS-244 is moored as memorial. Cavalla curator John McMichael will salute Texas with a signal cannon. Work on the Texas began nearly seven years ago. The second ship in the new Virginia class, her keel was laid in 2002 by Newport News. First Lady Laura Bush christened Texas July 2004. "Now on Sept. 9, the third and final step of that process will take place," said Capt. Litherland, "as Texas joins the active ranks of the fleet and again we have invited Mrs. Bush as our ship's sponsor to man the ship and bring the ship to life." Capt. Litherland thanked the commissioning committee led by Joe Coleman and Marshall Cloyd of the Greater Houston Navy League and the local chairman, Mr. Harry Brown, for the "tremendous program" that has been prepared for the week of commissioning. Mr. Brown pointed out how so many people have been "gracious and generous here in the city" and Capt. Litherland said he appreciated the "great support from the local community in Galveston and the greater Houston area." "My crew is 150 of the finest young Americans you'll ever meet, including 15 Texans, so Texans are very well represented. After four years of building the ship and finally taking it out to sea, they are very much looking forward to the opportunity to bring the ship here, to Galveston and show her to the people of the namesake state, and especially this city." "Sailors join the navy to see the world, and for the last four years all we've seen is the inside of a shipyard." Capt. Litherland was born in Landestuhl, Germany, the son of an Army Artillery officer. He considers Las Vegas, New Mexico where he spent four years as a high school student and football player his home town. His submarine career began on the USS Ohio, where he earned his gold dolphins. He was the navigator on the Louisville and XO on the Pintado before achieving command of the Topeka as a resolute, confident, and capable officer. Joining Capt. Litherland aboard the Texas will be his Chief of the Boat, Mark Brooks, whom Capt. Litherland described as "not quite a Texan, he came from the other side of Texas, Texarkana. But my XO is a Texan. Al Onley, from Greenville." (Coincidentally, Brooks was the COB of the last submarine built in the Newport News shipyards before the Texas, the USS Cheyenne). When asked which he considered a bigger challenge to Texas, a diesel sub with AIP or an advanced nuclear sub, Capt. Litherland said, "With the demise of the Soviet submarine force pretty much complete now, there are not too many threats directly to our submarines. We have the ability to go almost anywhere in the world undetected, we have that access that makes us such a potent weapon. When you're in close to the shoreline, as our 21st century missions promise to be, you're closer to folks who... can ruin your day. 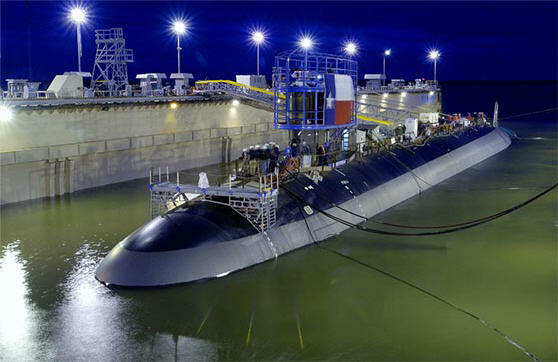 We think the Virginia class submarine, which Texas is the second, is well-equipped for the challenges...particularly working in-shore. We have systems and sensors that make her able to get in there safely, execute a mission undetected, and leave. 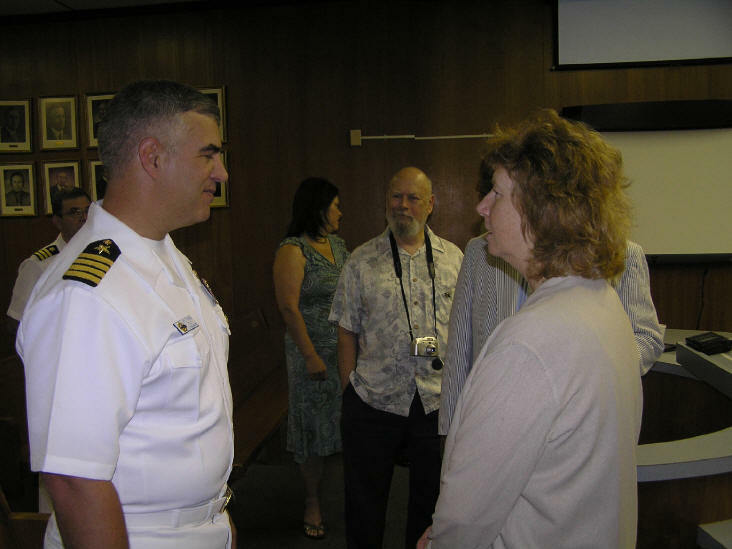 This writer asked him to share his personal thoughts as the commanding officer of a nuclear submarine on his role in America's defense. "We in the submarine force don't talk a lot about it," he answered. "We're known as the Silent Service, for good reason. But we have been and see ourselves on the cutting edge, the forefront of the nation's defense." Capt. 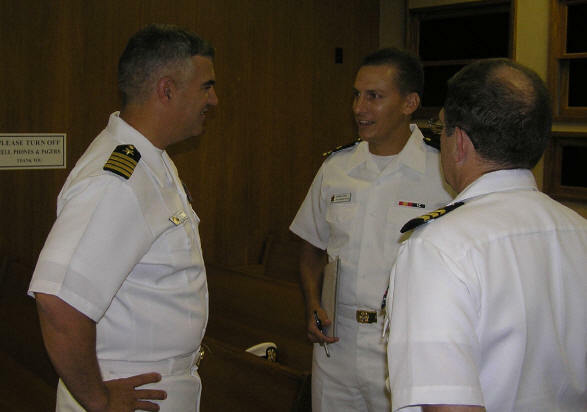 Litherland talks shop with Lt. Michael Street and Cdr. Jeffery Wood. 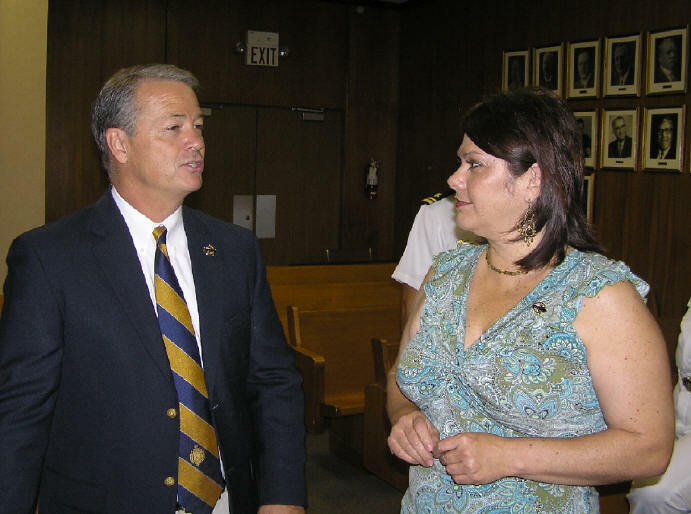 Councilwoman Jackie Cole speaks with Capt. Litherland and reporter Jim Guidry (Guidry News Service). *Officially, a naval vessel carried the prefix PCU (Precommissioning Unit) until after it is commissioned, when it will bear the mantle USS (United States Ship). ** So-named for the dominant color of the vessels--white.